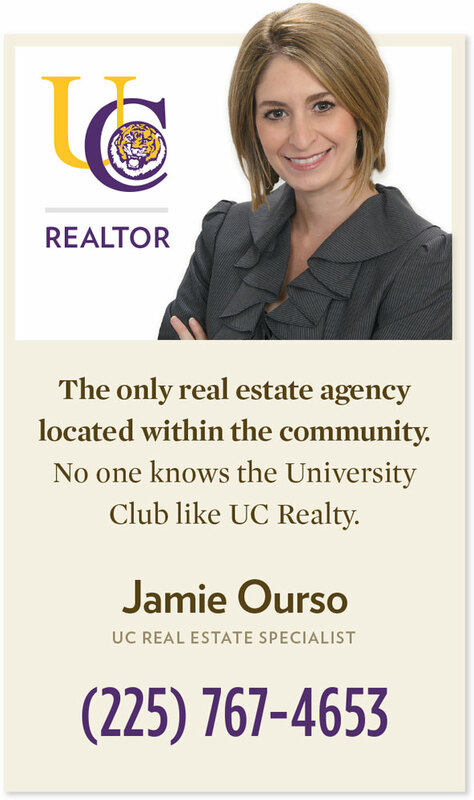 Home » Real Estate » Why UC Realty? 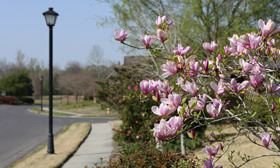 We're conveniently located within the neighborhood, which allows buyers to stop in with easy access. We are THE “Information Center” for anyone looking to learn about the community and what all it has to offer. Always In the know about future filings, new listings, other properties that will be coming available in the near future. 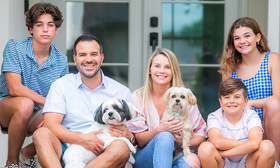 Our on-site presence and daily availability to show properties within the community is important to both buyers and sellers in today's market. "My wife Gene and I, after interviewing several Real Estate agents, decided on working with Jamie Ourso here in University Club. Her knowledge of the development along with her attitude, work ethic, follow-up and attention to detail resulted in our home being sold within 30 days. Great Job! Excellent Agent!! Thanks Jamie." "Thanks, Jamie, for your outstanding work with listing and selling my home in UCP. Your sense of service and attention to detail make a real difference for your clients, and I am truly grateful. Things could not have been smoother!" 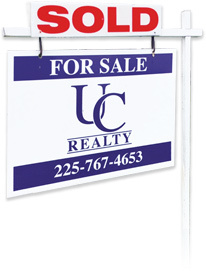 "I want to thank Jamie & UC Realty for the assistance in selling my house in University Club Plantation. Picking a real estate agent is a big decision. The assistance I received to both prepare the home for sale as well as market the home proved invaluable. They met all their commitments made during the planning process and went over and beyond what was expected. Their knowledge of the University Club community and leadership in the sales process proved critical. I was very pleased with their support." "Jamie Ourso did a terrific job in marketing and selling my house in University Club Plantation. Given the unique situation and complicated issues involved with the sale, I was very impressed with her professionalism and how quickly she resolved those issues and closed on the sale. I will definitely consider working with her again in the near future." "We hired Jamie to list and sell our home in University Club Plantation. She was very knowledgeable and professional to work with and we would definitely use her again if the opportunity arose. Jamie was easy to communicate with and was timely in her responses to our questions or concerns." “Jamie is very knowledgeable of homes values in University Club. She was extremely responsive in all matters pertaining to listing our home and answering our questions. 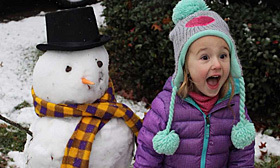 The sale of our home went smoothly and profitably. Thank you Jamie for your input and assistance in selling our home."